Save Shottery talks to Residents Against Shottery Expansion about Shakespeare’s legacy. RASE meets with Stratford District Council on the subject of Planning. SDC talks to Shakespeare Birthplace Trust about its Trustees on the Board. Stratford MP, Nadhim Zahawi talks to us all from time to time, but separately. There has never been an occasion when all the opponents of the massive Government-supported housing scheme on land west of Shottery have come together as one to discuss the huge threat to Stratford. With the High Court appeal lodged by Stratford District Council against the Secretary of State for Communities’ decision due to take place in April and May, getting these various organisations to be more transparent and communicative in the near future is highly unlikely. So, what next? One forum When Save Shottery met Nadhim Zahawi on 1 February, we put it to him that he might chair meetings convening all the scheme’s opponents. Following his passionate Parliamentary speech to Nick Boles and Eric Pickles in November, what more might he do now to gather together what could be a very powerful response, if united and co-ordinated? Mr Zahawi stated that he would be more than happy to invite Save Shottery to a meeting of StratfordVision, after the High Court Appeal judgement is known. Attended by both Stratford District Council leaders and the Director of Shakespeare Birthplace Trust, this forum could be a useful vehicle to discuss what might happen next. When invited, Save Shottery will be more than happy to address Stratford Vision, whatever the High Court decision. 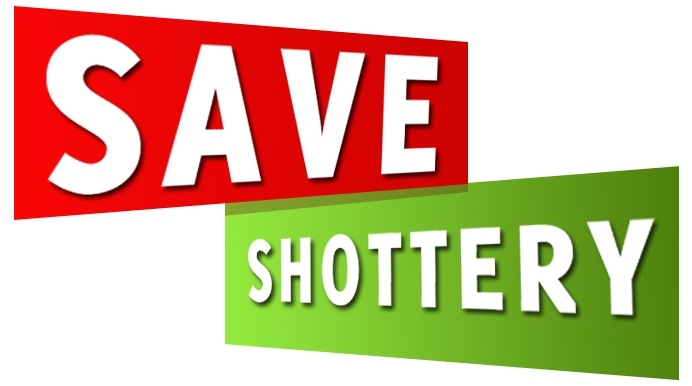 The real sense of social and environmental injustice that fired us up to run the Save Shottery campaign in autumn 2012 is still alive and kicking in 2013. It’s worth pointing out at this juncture that, nowhere on its website does Stratford Vision even refer to the Shottery housing development. It’s as if this potentially most disastrous of all schemes is all happening in the background. Save Shottery intends to remind Stratford Vision of these words. Stratford bodies cannot persist in being against everything. The town needs to get on the front foot and take an active, united approach to land as important as that west of Shottery. To this end, Save Shottery would like to propose that Shakespeare Birthplace Trust work in collaboration with Stratford District Council, English Heritage and other interested bodies, such as the RSC and Warwickshire County Council, to create and protect this site, this land it owns behind Anne Hathaway’s Cottage. We would like to invite Shakespeare societies from around the world to take part in an international fundraising campaign to buy and own this land and keep it in special trust for Shakespeare lovers now and in the future. Save Shottery believes that heritage organisations have not done enough to safeguard this irreplaceable legacy during this struggle. Nobody, apart from Save Shottery, has encouraged SBT to seek funding in other, more positive ways, rather than selling land. As a result, Nadhim Zahawi has also agreed to write to English Heritage on our behalf, to suggest that it play a useful role in the aftermath of the High Court decision. Stratford’s plethora of organisations owes much to past culpability and division. Enough of that. There’s too much at stake. Save Shottery is more interested in the future than in the past. We are proposing this Shakespeare heritage site now, ahead of the High Court decision, because we want to appeal positively to the various parties involved to come together to see what we might achieve as a united force, for the value of Shakespeare in Stratford, for Stratford. Those who come after us will judge us on our behaviour, so nothing else will do. While there is not much we can do between now and the High Court case, therefore, Save Shottery is already looking beyond that decision to a positive future of greater collaboration and more effective custodianship of Shakespeare’s legacy.